Presenter Stephanie Madlinger presents online collaboration & instructional strategies using Google documents, providing a 24/7 global approach and differentiated instruction for all learning styles. 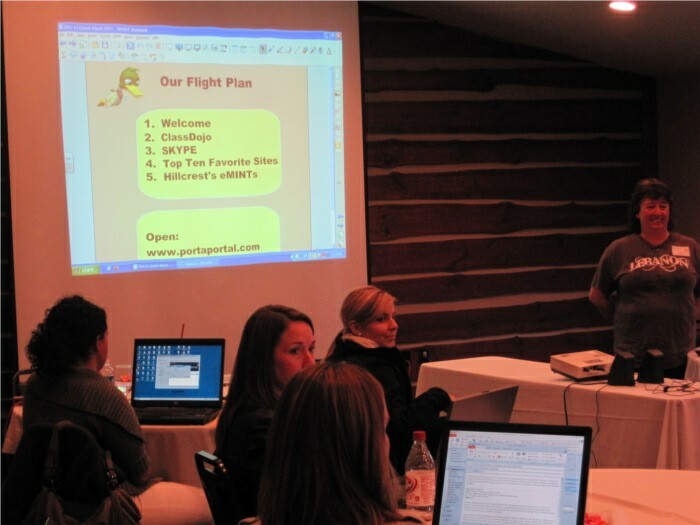 Participants create, share and edit online by using the basic abilities of word processing, presentation, and spreadsheet software. Additionally, teachers create an online form to collect information, chart and graph in a snap. 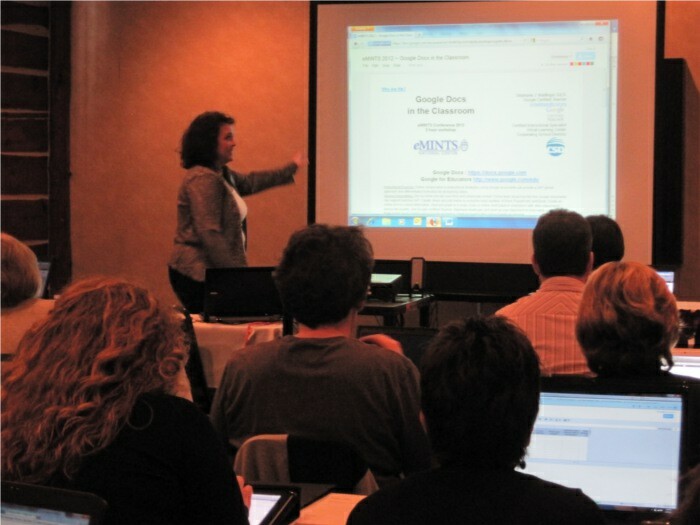 As a Google Certified Teacher, Stephanie Madlinger shows us how to open up one classroom to new learning today! All one needs is a Google account to get the most out of Google Docs. Glenda Admire and Ashley Sutherland of Lebanon R-III show us how using technology to enhance existing lessons doesn’t have to be difficult. Quick and free sites easily adapt for classroom use in a matter of minutes. 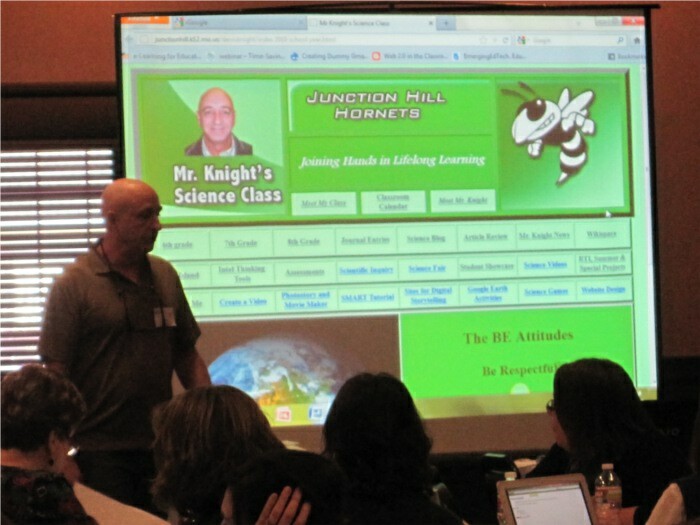 Sites shared range from classroom management to tools that will help enhance lessons through use of technology. Presenter Denis Knight helps participants gain a better understanding of various web-based instructional opportunities to use to enhance reading and writing skills. Educators learn how to use online journals, blogs and wikis to develop innovative ways to not only communicate with your students, but provide an avenue for creative written expression. Teachers generate online journals for students to reflect on classroom activities; blog for addressing constructive response questions and article reviews to address reading comprehension. They learn to create a classroom wiki to provide opportunities for interactive discussion and peer evaluation. When used with appropriate assessments, these online sources give the teacher the flexibility to use internet sites as a way to move from the paper and pencil past to a new and exciting learning experience. SMART Board: More Than Just a Fancy Whiteboard! Heidi Beatty of Horace Mann Laboratory School demonstrates how to make one’s SMART Board/SMART Notebook work for teachers to motivate students, promote peer interaction and independent success! 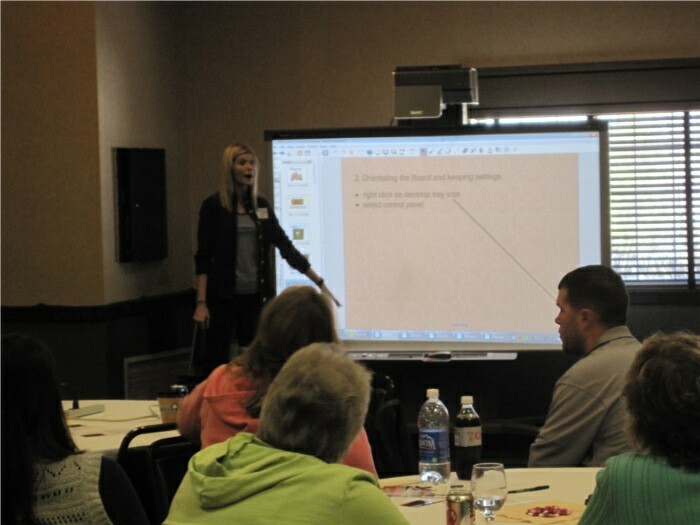 In this workshop, participants explore SMART Notebook and how it can work to enhance lessons and engage students. Students should be comfortable using the SMART Board and by attending this presentation, teachers are more confident in their own skills as well as letting a 6-year old or a 12-year old use this expensive piece of equipment! The presenter models and assists in guided practice.